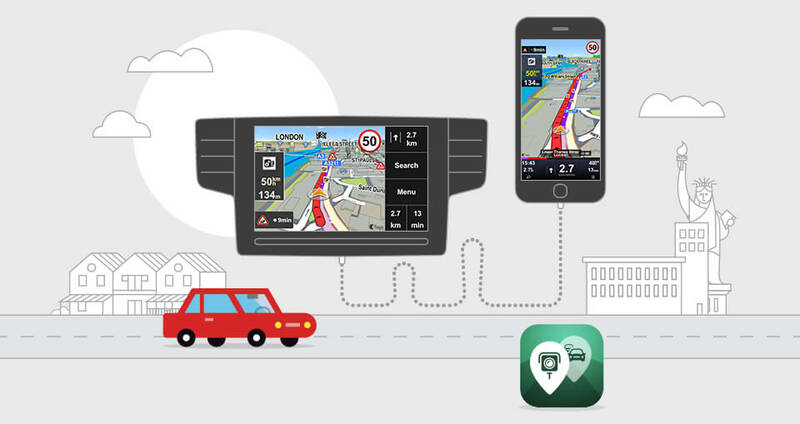 With Sygic Car Navigation you will get information about the real-time road situation directly on the built-in display of your car infotainment system. Thanks to MirrorLink®, InControl™, and Honda Display Audio* you can connect your smartphone to your car and get the latest information about traffic incidents, speed traps and faster routes to avoid unnecessary delays. All of this information with up to date maps and turn-by-turn navigation is displayed on your car’s built-in dashboard screen, with comfort and convenience by allowing you to access your smartphone the same way you access your car radio and other controls. Accessing the information about real-time road situations requires an internet connection to work. However you don’t have to have a built-in SIM card slot in your car. All you need is your phone with the Sygic Car Navigation app for Android or iOS. At the same time Sygic Car Navigation app uses smart technology, which minimizes the amount of data needed to update traffic information and the speed camera database on your smartphone so it can be also used while travelling abroad. All your maps are available offline, and are stored directly on your device. In Sygic Car Navigation, live traffic information and the speed camera database are integrated into one product called Live Services. Using Live Services can help you save a lot of time that would otherwise be spent sitting in traffic jams. 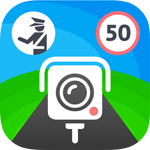 Live Services provides you with TomTom HD Traffic information and access to the premium online speed camera database with more than 300 000 mobile speed cam locations each month. You can display information on your smartphone or on your car’s in-dash screen. Live Services is available as an add-on (in-app) purchase in the Sygic Car Navigation app. Find the quickest route to your destination, avoid delays on your daily commute and avoid costly tickets - all on the display of your car. * Check availability for Honda Display Audio for your country here.